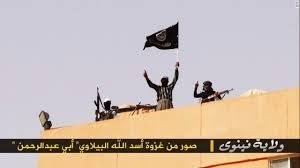 Washington (CNN) -- U.S. and coalition warplanes pounded ISIS positions in eastern Syria on Wednesday, targeting what a Pentagon official described as mobile oil refineries being used by the so-called Islamic State terror group. The latest round of airstrikes were aimed at cutting off money flowing to ISIS, which makes up to $2 million a day from oil produced by the refineries, Navy Rear Adm. John Kirby, the Pentagon spokesman, told CNN. Fighter jets from Saudi Arabia and the United Arab Emirates flew alongside U.S. aircraft during the operation, hitting 12 locations, Kirby said. The airstrikes came just hours after U.S. President Barack Obama called for united action to confront ISIS, also referred to as ISIL.